Welcome to the Sound Matching app! 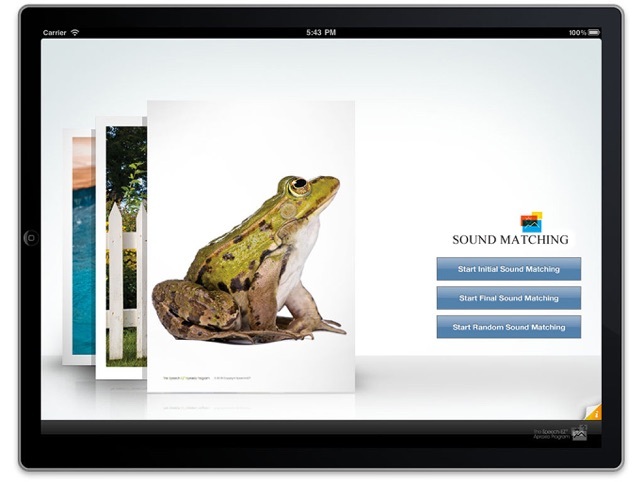 The Sound Matching app develops phonological awareness, sound order sequencing skills, and auditory attention skills. This task builds phonological awareness with an emphasis on sound placement and order within a word. This app increases the ability to break words into smaller parts and recognize smaller parts in words. Being able to break words into smaller parts and recognize sounds in words is an important skill that is necessary for early reading and spelling skills. This app was created by pediatric Speech Language Pathologist Lynn Carahaly, M.A., CCC-SLP. Phonological awareness provides a beginning reader with an important tool for understanding relations between written and spoken language. A deficit in phonological awareness is accepted as a consistent feature of reading disabilities. Poor phonological awareness is linked to poor reading skills independent of IQ. Children with deficits in one or more areas of phonological processing abilities may have more difficulty learning to read than those who do not. Phonological awareness describes an individual’s awareness of, and access to, the phonological structure of oral language. The Sound Matching app directly enhances and elevates phonological awareness skills in order for a young child to become a proficient reader and speller. You have the ability to choose if you would like to work on initial (first) sound matching, or final (last) sound matching, or initial and final in a randomized presentation. The randomized presentation will put more auditory attention demands on the child because they have to really attend to whether the target is asking for the starting sound or ending sound. Selecting “Starting Sound” will always ask to identify the matching first sound. Selecting “Ending Sound” will always ask for the matching last sound. This app is not intended to be self-guided by the child. The parent, teacher or specialist is to provide support and feedback to the child as needed. Want more apps to support the literacy and learning development for your child? 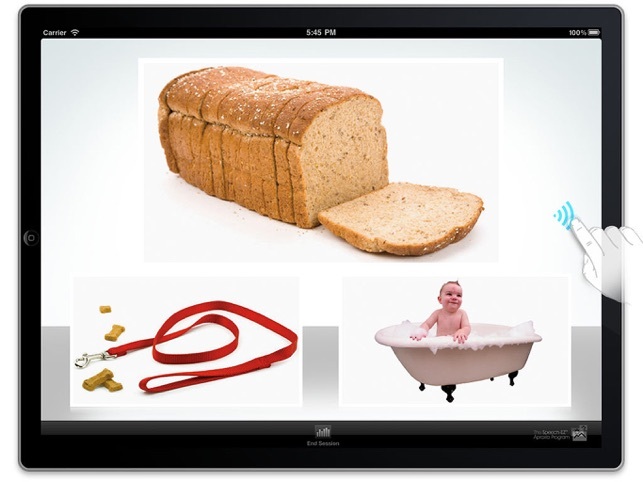 Check out these other great apps developed by Lynn Carahaly, M.A., CCC-SLP to facilitate phonological awareness, auditory processing, and literacy development: Target Sound Identification, Auditory Word Discrimination, Auditory Blending, Auditory Rhyming, Syllable Counting, and Auditory Figure Ground. Such a wonderful and well designed app! 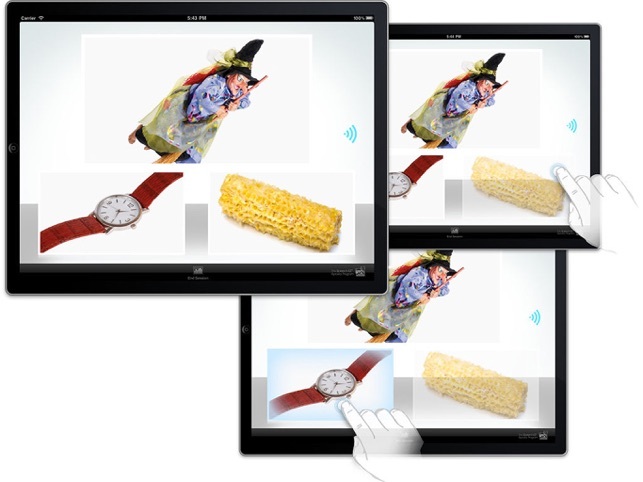 The photos, voice quality and overall layout is very clear and high quality. Determining first and last sounds of words has been very hard for my child to learn but the sound matching has seemed to be just what she needed to begin making that connection. I appreciate that the background is clean and great for children like my daughter that are easily distracted. When working with her on this app I can be in charge of the praise or feedback because right/wrong answers are only indicated by wrong answers fading and correct ones become surrounded by a light blue hue. I strongly recommend this app to all parents! I can't believe I'm the first one to write a review of this great app! Real pics make a real difference, cannot stress this enough. This focused app targets phoneme matching skills. Hundreds of pics for stimulus presentations. I have never been so disappointed with an app! For 24.99 I expected much more! There is no teller when they get it right and it is just flash cards. Some of the examples are not right, such as matching sounds that match when the spelling doesn't. There were lots of pictures and a wide vocabulary but it wasn't fundations (Wilson) that I'm used to. My daughter didn't feel "right" when she got it since it didn't advance or say it was correct and my saying it was odd since we then had to advance it. There is no way to "check" the picture and she must listen to the entire question again to hear one picture's name. i.e. if she wants to isolate sand and just hear that one, she can only do so listening to the entire sentence where it is lost again. Please know there are many others much more worth the money and probably $20 cheaper!!! Please refund the money!!! !